In the midst of the review copies I’ve agreed to read, I have to throw in the occasional “want to” book. This is one such book. 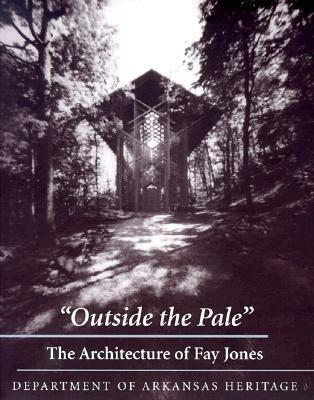 I became fascinated by the architecture of Fay Jones following my wedding in the Mildred B. Cooper Chapel in Bella Vista, Arkansas. Later, I learned of the Thorncrown Chapel near Eureka Springs, Arkansas, and many other projects of Jones’s. This book is a fascinating collection of pictures and drawings from not just the chapels above, but other buildings, both public and private, which were created by Fay Jones. There is also a fair amount of history behind Jones and how he got started in architecture. Overall, it was a light, fun read with lots of pictures, which makes it sound like a children’s book 🙂 But in reality, it shows the creativity and genius Jones has displayed through many of his creations. I’m not sure people fully appreciate the works he has created. I received an eGalley of this book through Penguin Books’ First To Read program. Although it was provided to me at no cost, I am under no obligation to give it a positive review. 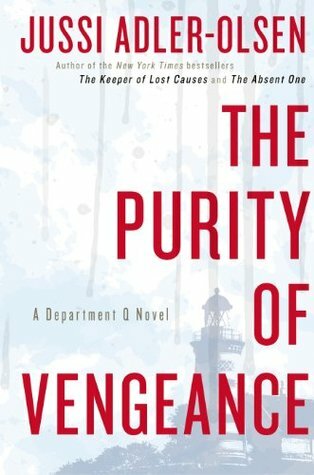 When I first agreed to read this novel, I didn’t realize it was the fourth book in The Department Q series. So it took me a bit to catch up with the characters and what the author presumes the reader already knows from the previous three books. Nete Hermansen has an axe to grind. As a youth in the 1950s, she was forcefully sterilized by physician Curt Wad. In the eighties she sets plans in motion to bring about revenge on Wad and others involved in her abuse. In present day, Detective Carl Mørck gets handed a case he really didn’t want any part of because of the emotional baggage associated with it. The case involves two of his former partners, and the case is also responsible for getting Mørck involved in Department Q. As the detective digs into the disappearance of a lady named Rita, who owned a brothel at the time she vanished, he and his assistants learned that many other people disappeared at the same time. As the story moves along, you learn more about Wad and his political ambitions, not to mention the evidence he gathers as a means of cataloging blackmail against political adversaries. Eventually the lives of Wad, Hermansen, Mørck and the missing persons, all come together into a nice bit of crime solving for Department Q. As I noted earlier, I’ve not read anything by Adler-Olsen before, so I didn’t really know what to expect. I’ve also, as far as I know, never read any fiction that takes place in modern day Denmark. About halfway through the book I learned through some online reading that Adler-Olsen’s books are originally written in Danish and then translated to English. That certainly helped explain some issues I had with the book, as it didn’t seem to flow as naturally as I would like following the translation. I particularly was thinking of “The Girl Who…” series by Stiegg Larsson. The translations on those didn’t feel quite so cumbersome. That said, I liked the way Adler-Olsen built the story. It does flip back and forth between timelines a bit, but considering the way they are tied together, it’s a necessity. Either way, I will likely go back and pick up the first three books in the series to check them out too. I received a copy of this book via Penguin’s First To Read program, so many thanks to them for making it available. While it was provided to me at not cost to myself, I am not obligated to give a positive review. Somehow, I have managed to not read anything by Krentz before, whether it be as Krentz or under a nom de plume such as Amanda Quick or Jayne Castle. I know she’s perceived as writing romantic suspense, but that’s not why I haven’t read anything by her before. Simply put, I just haven’t. That said, I didn’t really know what to expect with this offering. But I always give things a fair read, otherwise, how would you discover new authors? This story opens with our protagonist, Lucy Sheridan, being saved from a potentially bad situation at a party by Mason Fletcher, a young man who’s a few years older and who always seems to be the one to stand up for others and rescuing them. Lucy is, like many teens, not so understanding or grateful to her rescuer. Mason, after returning Lucy home, confronts Tristan, the spoiled rich brat who had hoped to take advantage of Lucy, instructing him to leave Lucy alone. Shortly after, Tristan mysteriously disappears, and his body is never found. Fast forward to thirteen years later, when Lucy’s aunt has passed away, leaving Lucy with the inheritance. Lucy returns to Summer River to find that much has changed. What used to be a sleepy little town has now been swallowed up by the wine industry. Vineyards surround the town, and the people too have changed. And not all of them are happy to see Lucy again. As Lucy begins preparing her aunt’s house for sale, the renovations uncover something interesting that pulls folks related to her aunt and Tristan into their lives. And as I noted earlier, they aren’t too happy to see she and Mason poking around. So the story develops and moves along, Lucy getting into hot water, Mason having to save her, or Lucy saving herself. Reluctantly, she begins to see his worth, and hey, his good looks don’t hurt his cause any. So what really happened to Tristan? Was the car accident that killed Lucy’s aunt and friend really an accident? Who’s got the secrets to hide and why? I really liked the way that Krentz developed this story. I’m not opposed to a little romance in my suspense, although perhaps a bit less in this case. But it’s not overbearing at all. It’s not like it’s a romance novel with suspense as a subplot. 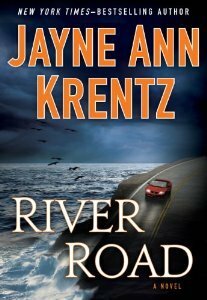 Certainly, Krentz has published enough books, and successfully so I might add, in different genres that she knows how to craft a good story. As noted earlier, I haven’t read any of Krentz’s other novels to know if they are formulaic, but I will certainly let this story stand on its own for the time being. It was, at its core, a well-crafted romantic suspense novel with enough twists and turns to keep the reader wanting to turn the page. What more could you ask for in a book? I received a copy of this book from Columbia University Press via NetGalley. While it was provided at no expense to myself, I am under no obligation to give a positive review. 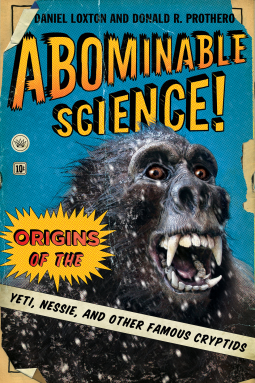 First and foremost, if you are looking for a book that is going to verify your beliefs in all things cryptozoology, you are going to be disappointed. This book actually takes the opposite tack. It takes scientific principles and applies them to the study of and hunt for various cryptids. The authors basically alternate chapters, each doing their part to tackle the specific topic at hand. They do spend a lot of time at the very beginning talking about what is and isn’t good science and who is and isn’t qualified to be an expert in subjects related to cryptozoology. Just because someone has a PhD in science doesn’t mean they’re qualified, especially if the specialization is in chemistry, not zoology, etc. But their biggest argument seems to be the strongest one: Show Me The Body. Surely, in our ever expanding world, where the population is increasing and places where these famous cryptids can hide are diminishing, surely someone would have found proof of Bigfoot, Yeti, Nessie, etc. Add in advanced scientific understanding and technology, and it seems even more likely. Once the authors tackle the foundation of research, they go into details with several famous crytpids, talking about various claims throughout the years and debunking them via scientific principles. That was actually more interesting to me than the introductory chapters, as I learned more about the legends behind these famous mythical creatures. Overall, I enjoyed the book, although it was pretty dry in places. There was also a general overtone of superiority over those who believe in cryptids, which got to be a little overbearing at times, but I understand that was the point of the book.